Kosovo Judicial Institute is an independent professional institution established by Law. The mandate of the Institute is to train future and sitting judges and prosecutors as well as judicial administrative staff. This is fulfilled through organisation of initial and continuous training. Also, it is within the Institute’s mandate to provide research for the professional development of the judiciary. Lavdim Krasniqi graduated from the Law Faculty of the University of Pristina (mr.sc. ), where he subsequently completed his postgraduate studies. He passed the bar exam and completed a number of trainings. Krasniqi served as a judge for minor offences for more than three years. Since 2006, he has been working at the Kosovo Judicial Institute, initially as Programme Coordinator, and since 2007 as the Director of the Kosovo Judicial Institute. 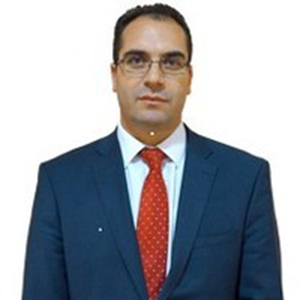 Besides his position of Director, Mr. Krasniqi also serves as an instructor for trainers and is a member of the commission for the entrance examination of candidates for judges and prosecutors. He has also been active as a teacher: since 2010 at the Law Faculty of the University of Prizren, where he currently teaches a course in methodology and legal writing, and since 2011 at the UBT College, where he teaches courses related to criminal law, criminal procedure law, and Moot Court. Mr. Krasniqi further participated at different regional and international conferences, where he presented various topics regarding judicial training.